Soft plush leather - almost feels like a bean bag. 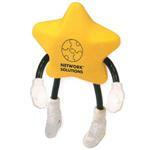 This heavy paperweight is perfect for getting your message across. Can also be used as a stress reliever so will have excellent desk top time. 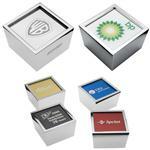 For other custom paper weights or promotional paperweights please email sales@adcomarketing.com! Available Colors: Black, burgundy, hunter green, navy, charcoal, brown and nut. Production Times Available: Standard 15 day production. Typical Imprint Area(s): 1 1/2" x 1 1/2"
Available Imprint Options: Blind Deboss.